Designed to bring pumping power to tight spaces. 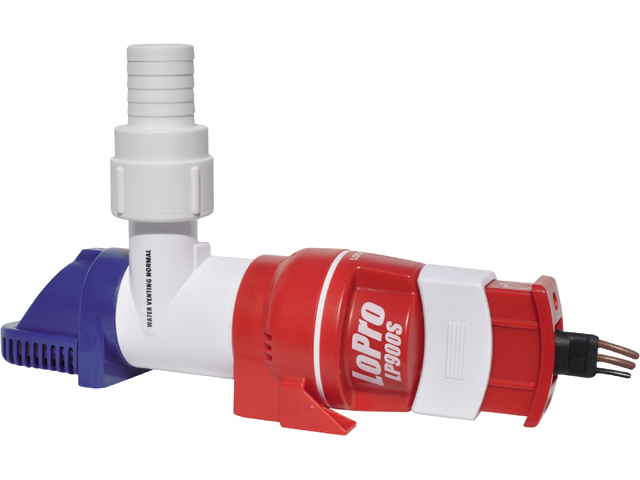 Rule's LoPro Series Bilge Pumps are only 2,3" high. The 900S model features two automated modes. The first one engages the pump when the water level reaches 2" or 1,3" (user choice); and the second one checks for water by briefly turning on the pump every 2,5 minutes. The 900D model requires a float and/or panel switch. • Multiple modes of operation. The 900S features two automated modes of operation. o High or low water sensing mode. The pump starts when water reaches a 2" level. By turning the motor cartridge upside down, the sensor is at 1,3"
o Electronic automatic mode. The pump automatically turns on every 2,5 minutes to check for water, and if it's detected the pump stays on until the water is gone. • Fully rotating discharge body. 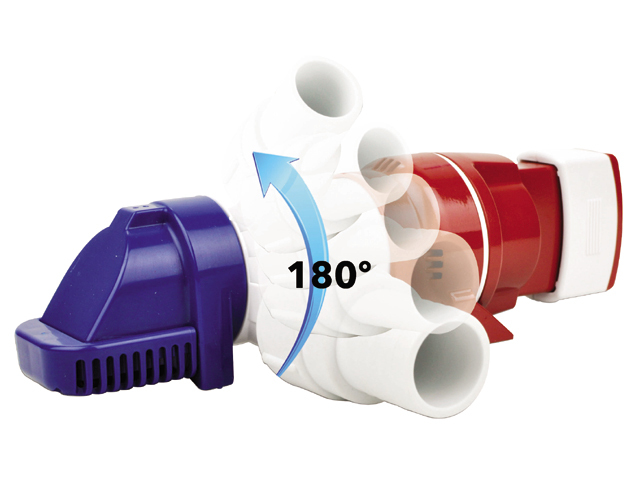 The entire body swivels up to 180°, making the pump extremely easy to install. • Backflow prevention. New tricuspid check valves help prevent backflow. • Amp Draw: 4A approx.